Smoked turkey, pheasant, salmon, pâté: these expensive delicacies can be make at home for surprisingly low cost. 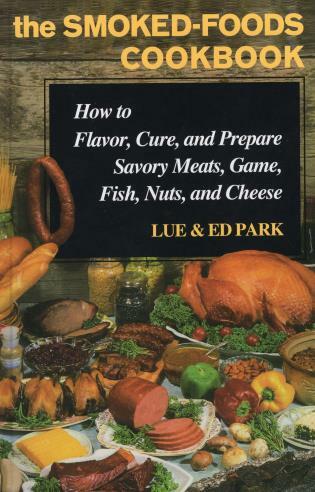 Wild game and domestic meats are prepared in any of dozens of marinades and brines, then set in a smoke cooker to absorb the flavor of hickory, apple wood, mesquite, chestnut, or maple smoke. The smoke cookers - which cost no more then a quality barbecue grill - are readily available from a variety of sources, all listed in the book.